The statement of Nathuram Godse, along with other relevant records related to the assassination of Mahatma Gandhi, should be “proactively disclosed” on the website of the National Archives, the CIC has ruled. Information Commissioner Sridhar Acharyulu said, “One may disagree with Nathuram Godse and his co-accused but we cannot refuse disclosure or circulation of his opinion. “At the same time, neither Nathuram Godse nor the holder of his theme or opinion can go to the extent of killing a person whose philosophy he cannot agree with,” he said in his order. Godse, a right-wing activist, had assassinated the Mahatma on January 30, 1948. 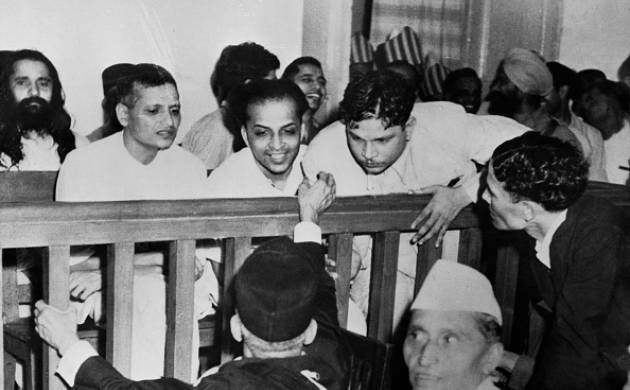 Petitioner Ashutosh Bansal had demanded the charge sheet and Godse’s statement, among other details, from Delhi Police which forwarded the application to the National Archives of India (NAI), saying the records have been handed over to it. The National Archives asked Bansal to inspect the records and cull out the information. After failure to get the information, Bansal approached the Central Information Commissioner (CIC). Acharyulu directed the Central Public Information Commissioner (CPIO-NAI) not to charge Rs three per page for photocopying because the Right to Information Act overrides any such provision of the Public Records Act by virtue of Section 22 of the RTI Act. Although neither Delhi Police nor the National Archives cited any objection on the disclosure of the information, Acharyulu said that the information sought does not attract any of the exemption clauses. He said since the information is more than 20-years-old, it cannot be withheld unless it attracts section 8(1)(a) of the RTI Act which prohibits disclosure of information that prejudicially affects security of the State or relations with foreign countries. Acharyulu said in the present case, even section 8(1)(a) does not apply as the argument that disclosure of Godse’s statement could lead to enmity between Hindu and Muslim communities would not apply. He said Gandhi’s life, character and image as a champion of peace, Indian Independence and Hindu-Muslim unity cannot be tarnished either by his physical elimination or writing hundreds of pages of adverse analysis of his policies. “The Commission also directs the NAI to place the index of records available now with it about the assassination of Mahatma Gandhi on its official website along with the procedure to gain access, and recommends development of an archive to include present digitised records and collect as many as possible from various sources to be part of their disclosures under Section 4(1)(b),” Acharyulu said. He directed the NAI to provide certified copies of the charge sheet and the statement of Godse from the CDs of the archives as sought by the appellant upon payment of copying charges at Rs two per page, within 20 days from the date of receipt of this order.